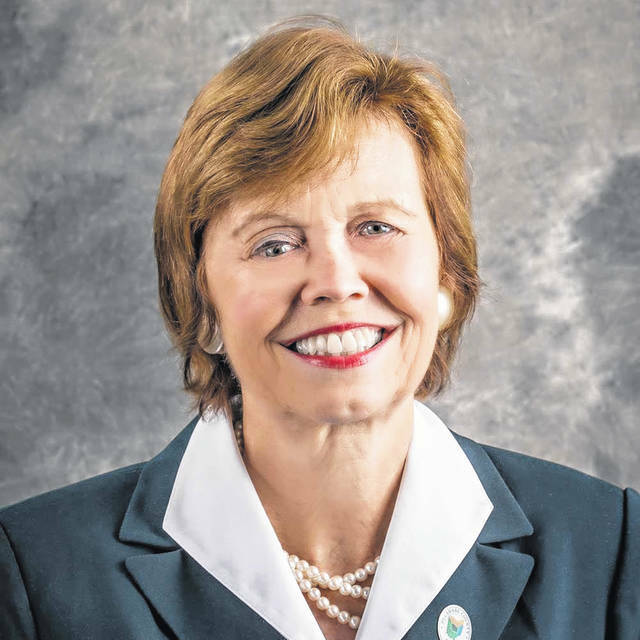 In its first session of 2019, the Delaware County Board of Commissioners reorganized Monday (Jan. 7) by unanimously appointing Commissioner Barb Lewis as boards president. Lewis, a former Genoa Township trustee, was nominated by Commissioner Jeff Benton, with Commissioner Gary Merrell seconding the motion. ‘Thank you very much for your confidence in me,” Lewis said. Benton was nominated by Merrell to be this year’s vice president, with Lewis seconding the nomination. The board voted unanimously to approve the measure. Other reorganization business included the board appointing, by resolution, Merrell to be the official voting representative of the county to the County Commissioners Association of Ohio. Lewis was appointed as the board’s alternate to the association. According to the County Commissioners Association website, since counties are impacted by the general assembly’s actions, the association works to strengthen a partnership through legislative advocacy and keeping members up to date on legislation and rules. To finish out the reorganization business of 2019, the board approved a resolution appointing representatives to over 20 various boards and commissions. • Karen Wadkins, Juvenile and Probate Court fiscal coordinator, approached the commissioners for a $90,000 advancement for projects normally financed by the federal government. Wadkins said $20,000 of the total was to cover VOCA, while $70,000 was to fund CASA (Court-Appointed Special Advocate) program. “As soon as we receive notice and those payments start coming in, we’ll repay those funds,” she told the board. 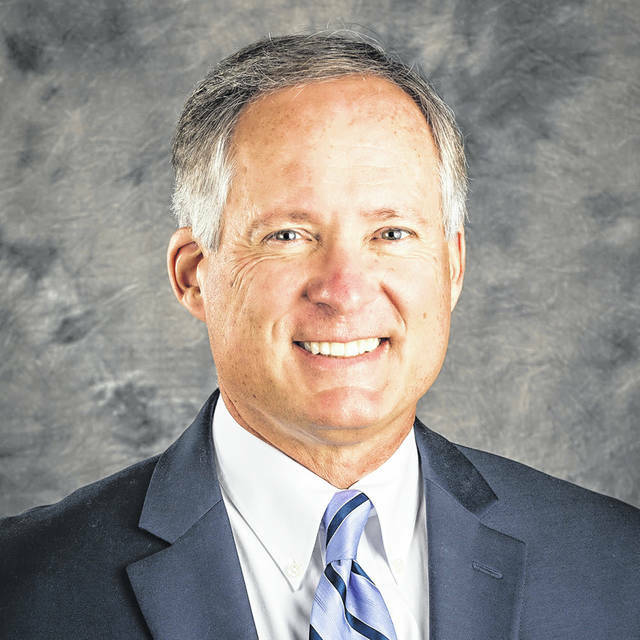 • The Delaware County Engineer’s Office requested that various employees attend training, business meetings, continuing education classes, and conferences that will be held throughout 2019 at a projected cost of $38,000. • The Delaware County Child Support Enforcement Agency requested that Joyce Bowens attend district meetings throughout the year at a projected cost of $60. The agency also requested that throughout 2019, Bowens attend the district executive board meetings and general membership meetings in Columbus; Lisa Thompson to attend the case manager collaboration meetings in Columbus; and Wendy Shannon, Tanya Kidd, and Sherry Fluery attend attorney networking meetings. • The Delaware County Board of Commissioners’ office requested the approval of $3,000 for Benton, Lewis and Merrell, Board of Commissioners; Jane Hawes, director of communications; Brad Lutz, director of business operations and financial management; Dawn Huston, deputy county administrator, business operations; and Mike Frommer, county administrator, to attend various events of the Delaware Area Chamber of Commerce, Sunbury/Big Walnut Area Chamber of Commerce, Ohio Wesleyan University, and Mid-Ohio Regional Planning Commission throughout 2019. • Robert Anderson, Job and Family Services director, requested approval for funds for staff travel expenses as staff will attend 16 different trainings specific to their positions throughout the year at an approximate cost of $26,910. “This is a request for our annual expenditures for various meetings and staff training we do throughout the year for our various divisions,” Anderson said. Anderson also requested two transfer of funds from the general budget of $1 million and the other for $466,471. 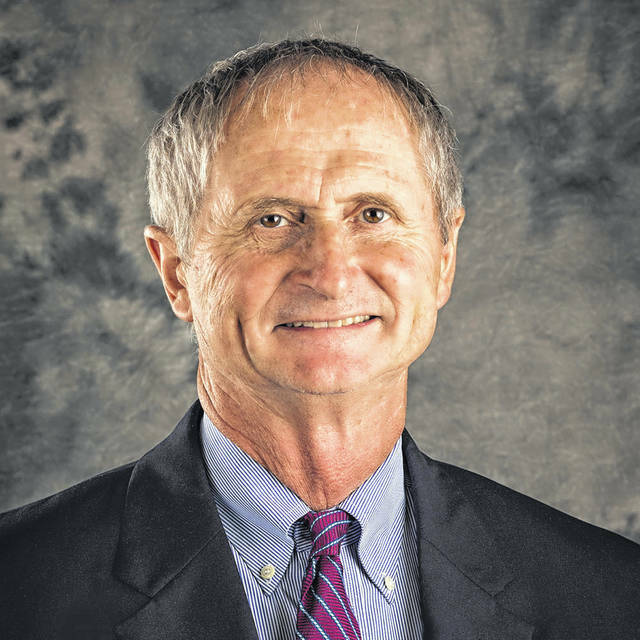 • Bob Lamb, economic development director, approached the board on appointing a countywide workforce partnership committee to address workforce issues. The group will be chaired by Jenna Goehring, economic development coordinator, who will organize the group. It will be composed of one member each from Delaware County Means Jobs, Delaware Area Career Center, Columbus State Community College of the Delaware Campus, City of Delaware Economic Development Department, Columbus 2020, and a private member of the business sector appointed by the Delaware County Board of Commissioners. Benton said he thinks the idea is worthwhile. • Karen First, fiscal manager, requested the transfer of funds from the commissioners’ general fund for grant matches for the Data Center, Economic Development, Victims of Crime Grant, Crime Victims Grant, 2017 LEAP Grant, Capital Acquisition and Projects, Capital Improvements, and Property and Casualty Insurance. “This is a blanket food resolution for items budgeted under the commissioners’ authority,” she said.